During the 2019 Spring Festival, a shadow and light cultural exhibition made a stunning appearance at Forest Park of Shunfeng Mountain, bringing a visual feast to the public. It contains five chapters, showing the historical and cultural essences such as Shunde martial arts and so on with high-tech special effects. 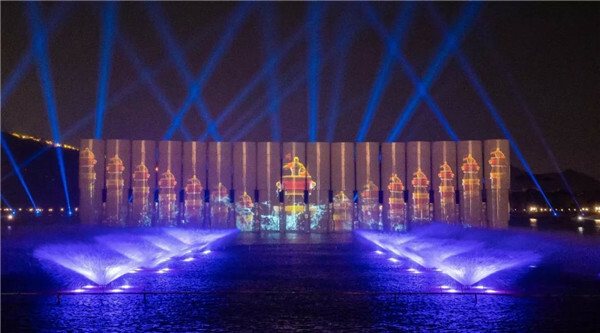 The shadow and light cultural exhibition will be staged at 20:00 and 20:45 every night from the first day to the seventh day of the lunar calendar year, and it will be also displayed on Lantern Festival. It is planned to be exhibited for a long time in the future. The public can go to Forest Park of Shunfeng Mountain to watch the exhibition.